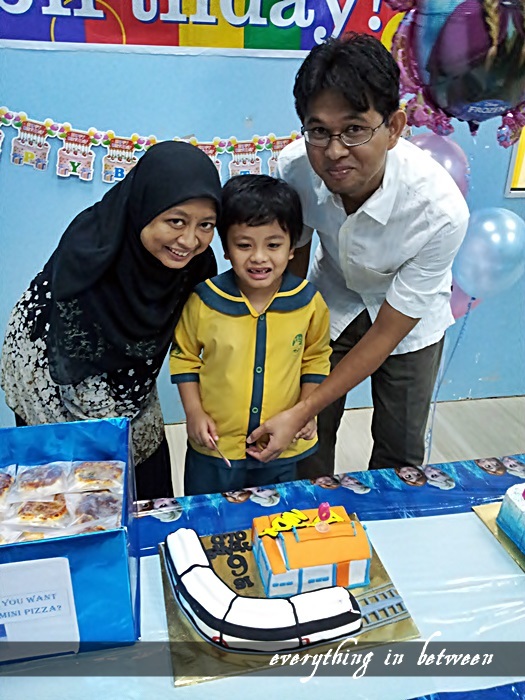 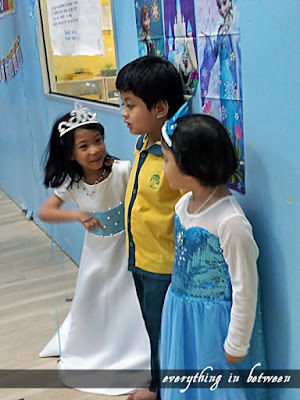 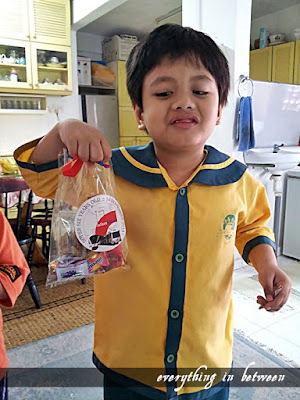 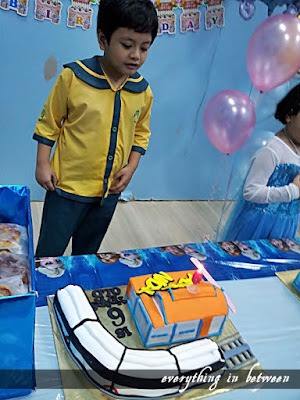 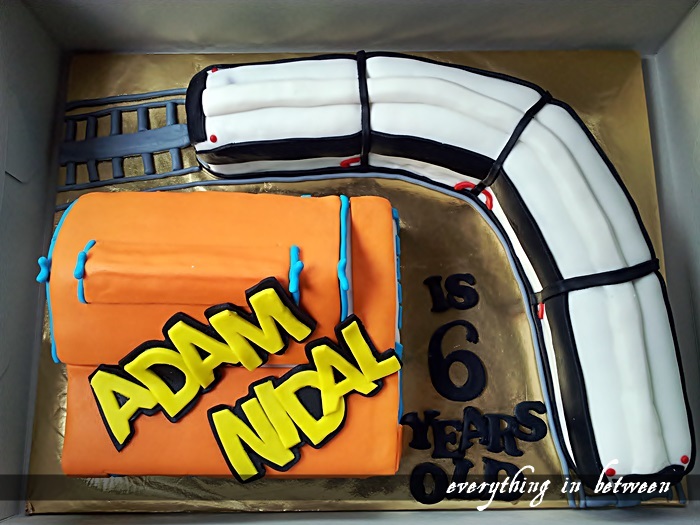 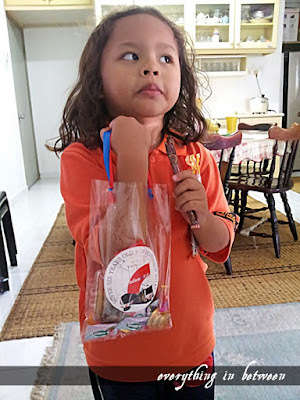 As updated earlier.. Adam requested for his birthday celebration at school to be themed LRT.. 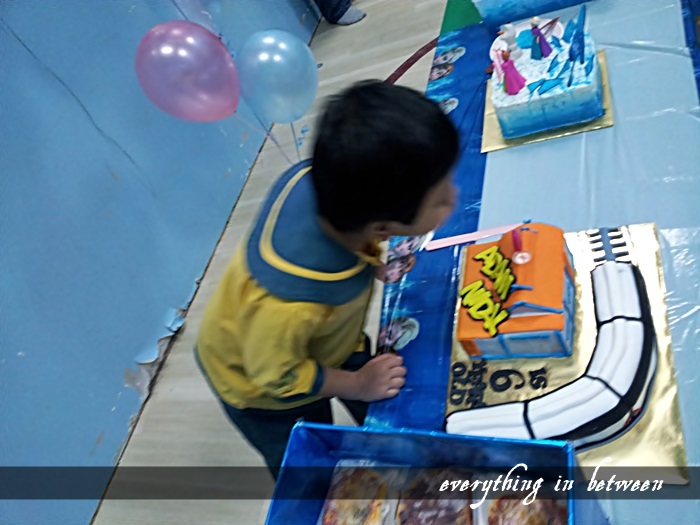 I searched high and low to make sure that everything is according to theme.. everything settled except the cake.. I only make the cakes order a week before the celebration.. its hard to find cakemaker to put an LRT on top of the cake.. but I manage to get it done.. When I arrived at his school, he seems sad.. maybe he thought I forget about my promise for his birthday celebration.. when he saw me and saw his cake.. his expression is PRICELESS.. No money in the world can buy that..
After a simple celebration.. with birthday song singing and cake cutting, the kids were ushered for their morning break.. and I left Adam and promised to picked him up later.. Ouhh.. Adam shared celebrating with another 2 girls.. hence the frozen decoration..
That's his 6th Birthday celebration at school.. and that night we celebrated with dinner with family..